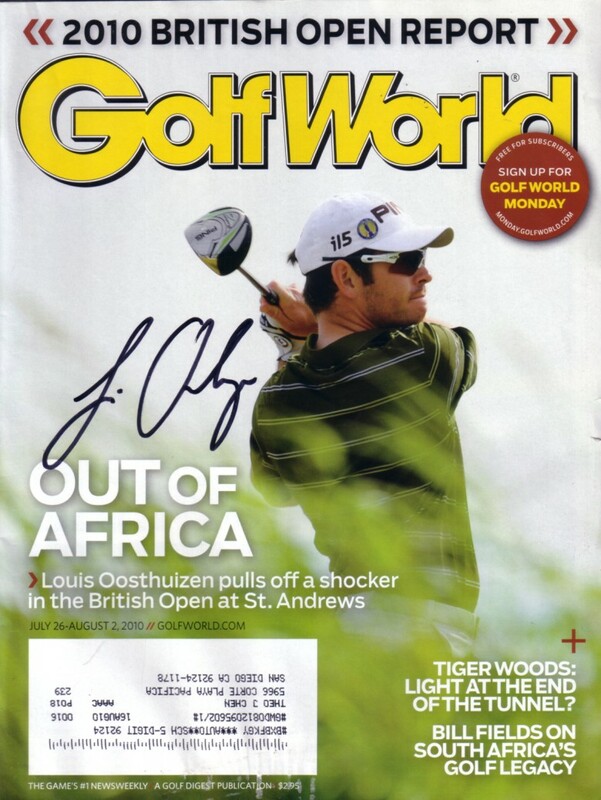 Complete 2010 Golf World magazine autographed by British Open winner Louis Oosthuizen. 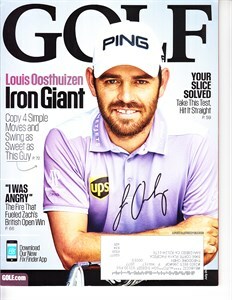 Bottom edge of magazine has minor water damage. ONLY ONE AVAILABLE FOR SALE. Obtained in person. With certificate of authenticity from AutographsForSale.com.